A senior State Department official has serious doubts about the prospects of a 172-mile, inter-oceanic canal across Nicaragua that would compete with the Panama Canal to the south. Nicaragua struck a controversial deal in 2013 with a little-known Chinese billionaire to dig the massive canal. The government’s deal with Wang Jing’s HKND Group is to build and operate a trans-oceanic canal, two ports and airport among other projects. The company broke ground on the estimated $50 billion project in 2014, but there has been no progress since. 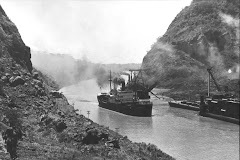 If completed, the canal would be three times the length of the Panama Canal, and twice as deep. Progress has allegedly suffered from China’s economic slowdown and Wang’s reported financial difficulties raising questions among many about whether it would ever be constructed. But Gonzalez said the administration is closely monitoring the situation. Nicaraguan President Daniel Ortega has kept many aspects of the canal deal secret, which has led to speculation that the Chinese government is involved. The government denies this, but Wang Jing is a billionaire telecom tycoon with powerful ties to China’s Communist Party and reputed ties to the People’s Liberation Army. Controversy has dogged the project from the start. The deal was rushed through the legislature for approval gave HKND powers to expropriate lands and exempted the company from local tax and commercial regulations, according to the Congressional Research Service. In April, thousands marched to protest saying the canal would displace rural communities and harm the environment. “Scientists also express concern that the route would damage networks of internationally protected nature preserves that include wetlands, coral reefs, rainforests, and coastal areas,” the CRS report found. HKND officials said the company is doing preconstruction studies and will begin canal construction in late 2016, according to CRS, but some experts think the project has is over.